After introducing soft defence techniques as an alternative to hard defence techniques, the need is emphasized to consider the coastal area as an integral system. 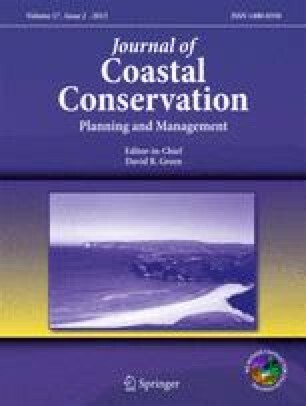 By recalling the main driving factors for coastal management: conflict resolution, resilience and sustainability, we logically arrive at the concepts of ecological engineering and ecotechnology, which are increasingly acknowledged as possible solutions to achieve sustainable use of coastal space as a resource. In this context, we refer to the principles of self design and of ecosystem conservation. In order to deal with real situations we are in need of fundamental ‘tools’ for the application of the soft intervention technology approach. We therefore introduce the concept of physiographic units and develop an initial elaboration for a coastal stretch and for coastal wetlands. The latter deserve more attention because of the already established practices of ecotechnology, at least as far as water and soil quality are concerned, but certainly also concerning morphology, especially in the future. We conclude by briefly discussing how activities undertaken in two research projects currently being conducted under the framework of the Marine Science and Technology Program of the Commission of the European Communities are expected to contribute to the concepts introduced here.